Known as the “Tiffany of the Northwest,” the Povey Brothers Studio has produced some of the most beautiful and lasting stained glass pieces in all of Oregon. For instance, David and John Povey’s artwork can be found in the First Presbyterian Church, the Atkinson Memorial Unitarian Church, and the Pittock Mansion, just to name a few. Their windows were known for having unequaled quality and beauty, which has allowed the windows to last for over 100 years. The art of stained glass was a family tradition. Their father, Joseph Povey, worked in the field on the East Coast in the early 1800s, after he immigrated to the United States. David studied art in New York and then traveled to Europe for further study before residing in Portland. 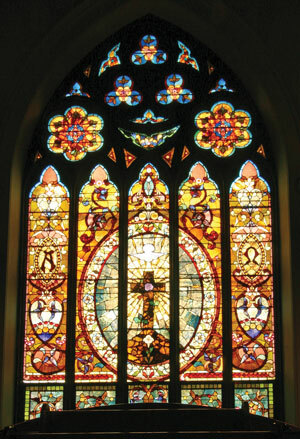 His education allowed him to be the artistic leader and designer of the stained glass pieces, while John focused on the actual glazing and assembling of the structures. The brothers formed the studio in a warehouse located in what is now Chinatown, in 1888. Their first commission came from the First Presbyterian Church, with all of the building’s stained glass made by the brothers. 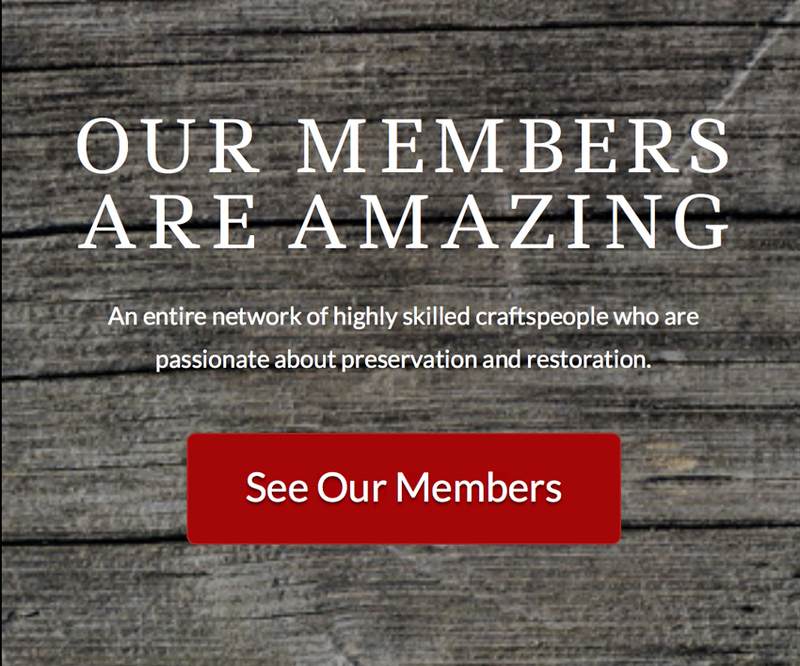 This was an extremely successful first project and provided the press and credibility they needed in order to become one the most sought after stained glass retailers of their time. The two above photos are Povey Brothers stained glass windows at the First Presbyterian Church, located in Portland, OR. Povey Brothers windows in a home located in Northeast Portland, OR. One of the ways the brothers were able to be so successful, and sought after by Portland’s affluent, was their ability to be daring with styles, glass types, and innovative production techniques. For example, if a church requested pieces, they were designed in a classical style, with the scenes often taken from religious paintings. However, if the pieces were for homes or secular buildings, the colors were brighter, and the patterns and shapes more complex. The residential pieces often contained motifs such as grape clusters, roses, lilies, birds, and dogwoods. Moreover, every piece was unique and built with the glasses’ placement, weather exposure, and audience in mind. The brothers often used clear glass in the background of their pieces in order to allow light to pass through on the Northwest’s typically overcast days. This attention to detail is what has made these pieces current through changing eras and styles. The Povey brothers’ high quality and design have had a lasting impact on this artistic field. Their artisan approach inspired people such as Ben Milligan and Jerry Bosco, who operated two stained glass businesses of their own. Moreover, the Bosco-Milligan Foundation holds multiple Povey windows in its building artifact collection. Unfortunately, it can be hard to decipher if a piece is a Povey original, as David did not begin signing the windows until 1923. Once the brothers got wind of imitators, they began signing “Povey Brothers Studio” with a year of completion on every piece that left the warehouse. The reported first use of the signature was on the windows for the First Christian Church in Portland, in 1923. The studio was extremely active and profitable for nearly 40 years. John Povey passed in 1917 and David Povey in 1924. Between the time of John and David’s deaths, their sons became involved in the business. After David died, the company was sold to W.P. Fuller, in 1930, and the Povey family parted ways from their fathers’ successful company. The historic impact of the Povey Brothers stained glass is great. Their pieces are featured on over 40 buildings that are listed on the National Register of Historic Places, and on countless homes in many different northwest neighborhoods. They contributed greatly to our region’s built environment by providing aesthetically pleasing pieces of art that have lasted through years of changing architectural styles. The Povey Brothers were masters of their craft and paved the way for future stained glass artisans. Meg Croze is a community development graduate from Portland State University. She will be furthering her education at University of Oregon with a master’s degree in historic preservation. Born in Portland, she has become enchanted with the local architecture and the character of the homes in neighborhoods such as Irvington, Grant Park, and the West Hills.